In 2003, Swedish artist Lotta Boholm Wall won a competition with her sculpture Me, which was carved from a willow tree. That was the starting point of her business. 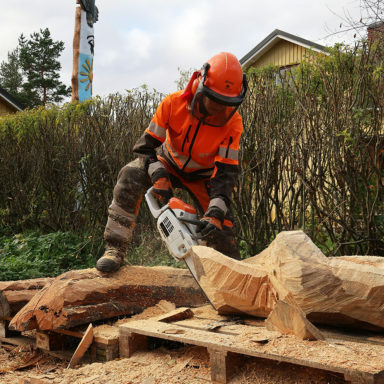 The competition encouraged artists to create new art from old fallen trees in a park in Sundsvall city centre. Lotta has been making art for 30 years and her inspiration to work with wood came from her grandfather, who was a furniture maker. She is also inspired by animals, nature, and the cultures of ancient Egypt and North America. 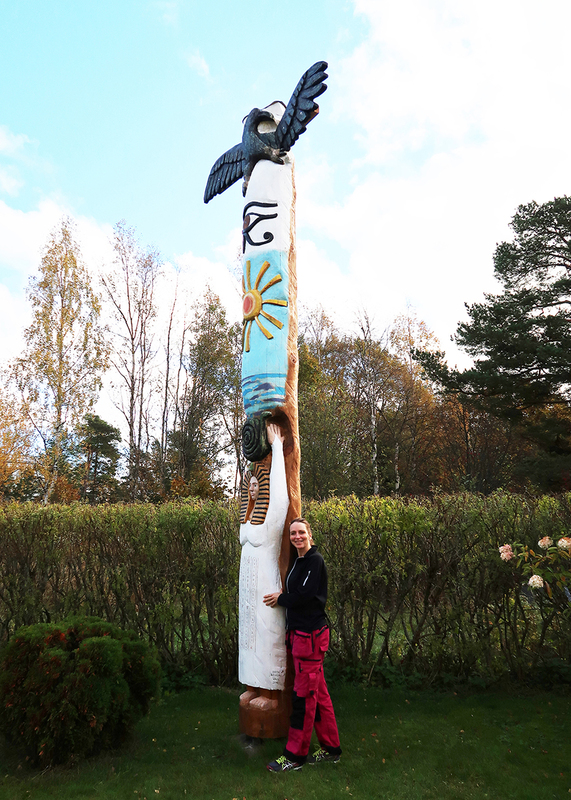 Particularly, totem poles fascinate her. Lotta studied Arts, Wood Technology, and Gustavian sculptures. She is also a qualified handicraft teacher and works part-time in a school. She told us that, if only she could go back in time, she would focus more on a higher education in Art. She thinks that young people who wish to become artists should not miss the opportunity to get a third-level education in the field. In her experience, it is easier for an artist with a relevant degree or diploma to get funding and further scholarships, but also to become a member of art associations. Another piece of advice that she would like to give to future artists is to research and find your own mode of expression. She also told us that having a part-time job can help artists to get some income while they are building their careers. A few years ago, Lotta participated in a Trade Fair to showcase and sell her work. At the Fair she met a person who worked in the forest industry. This person introduced her to a company selling chainsaws. That is how she found her first commercial sponsor. 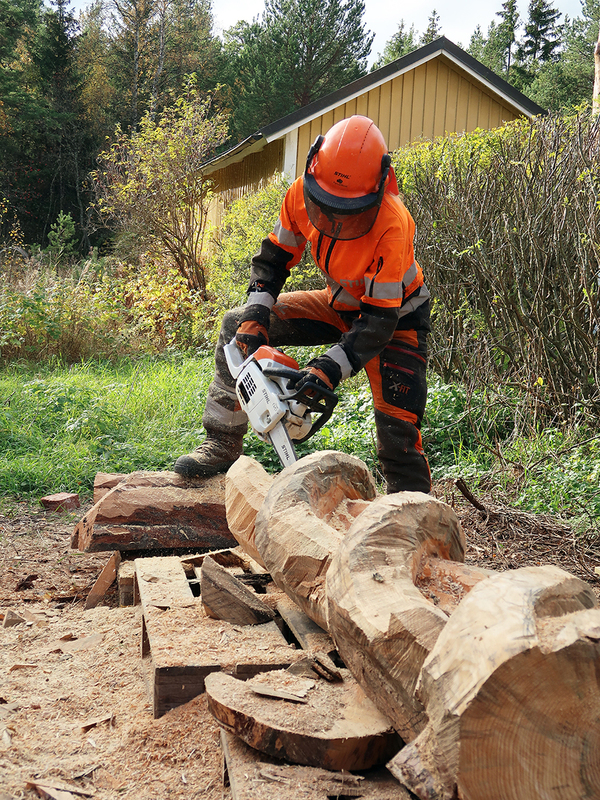 Lotta is currently sponsored by Stihl, which provide her with clothes and 4 chainsaws – a good way of reducing costs. 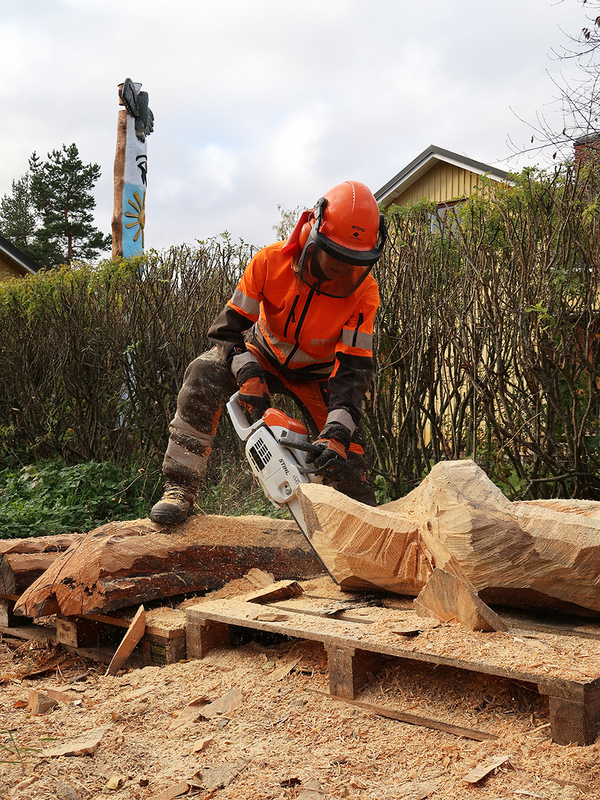 Apart from chainsaws, Lotta also uses chisels to work on smaller details. Lotta is currently working on exhibition material, which will be showcased in her hometown in the summer. She is also preparing for a Christmas market – she will recreate a sculpture of Santa while people watch her doing this: “I have done a few live performances like that, it’s quite popular. 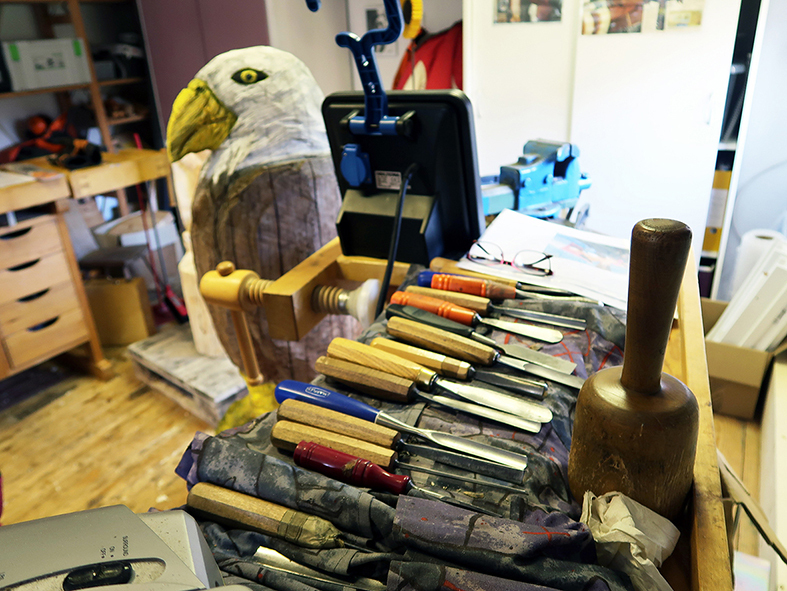 There will be a lottery and people could actually win the sculpture when I have finished it”. 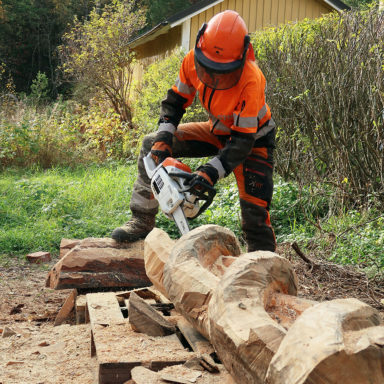 Looking at the future, Lotta would love to cooperate with a master carver from Canada – a professional wood artist she could learn a lot from. 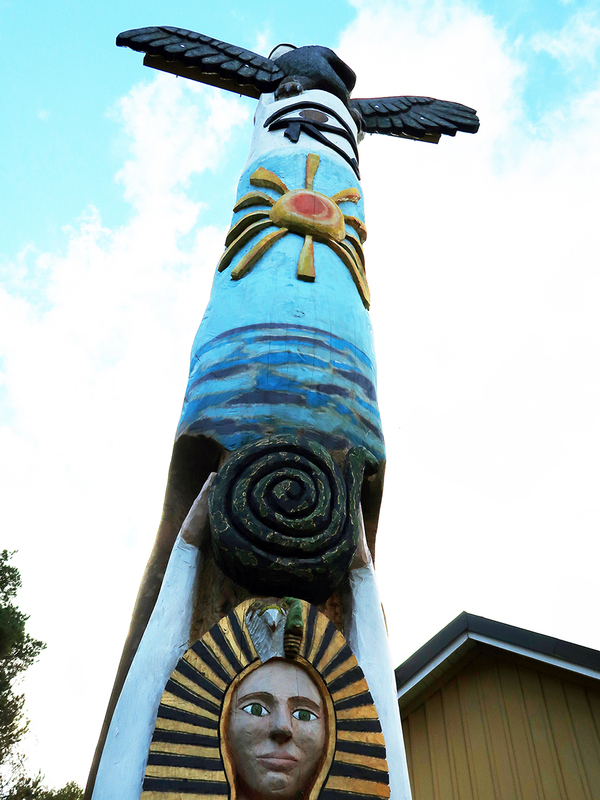 Canada is one of few places with a living tradition of totem poles. Lotta travelled to British Columbia 3 years ago and was fascinated about the Canadian tradition. 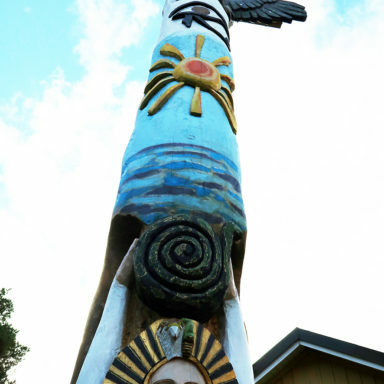 People still erect the totem poles by using ropes, like they did in ancient times. 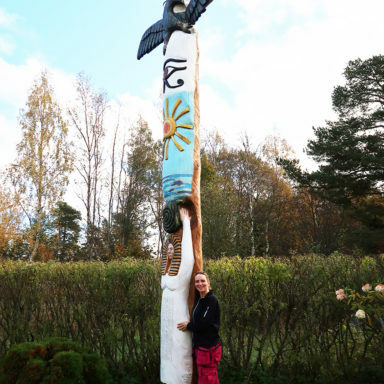 “Spending some time with an artist in Canada and then come back and make a totem pole together in Sweden – inspired by the sawmills and the forest industry that has been a strong source of income in our region – that would be a fantastic project to participate in”.